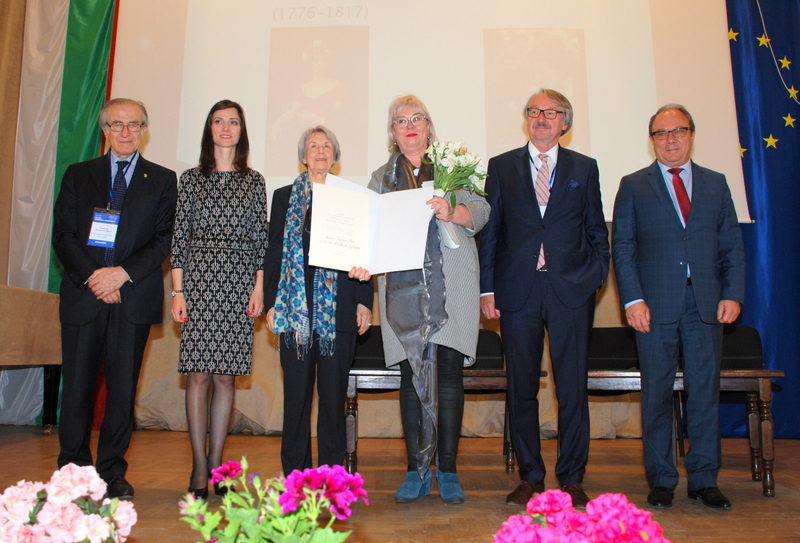 Andrea Pető, Professor at the Department of Gender Studies of the Central European University in Budapest (Hungary), received the 2018 All European Academies Madame de Staël Prize for Cultural Values. 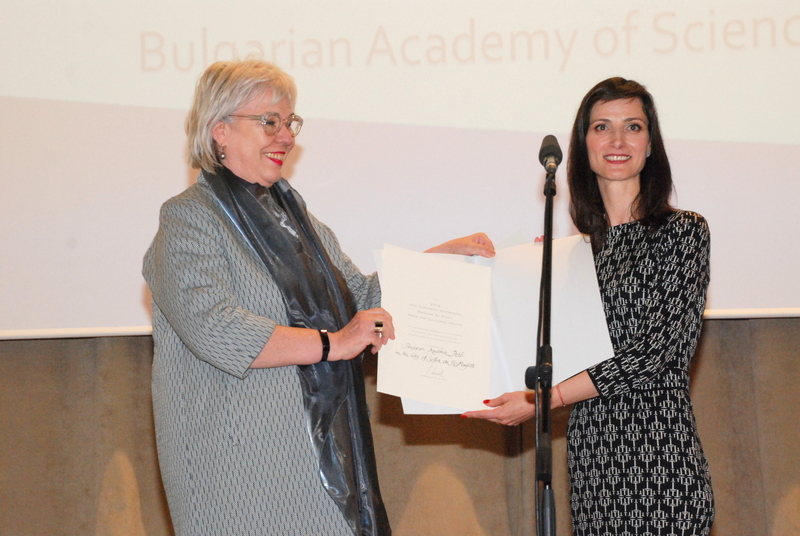 Professor Pető was honoured with the Madame de Staël Prize on the basis of her outstanding scholarly contribution on Europe’s memory of the Second World War, the Holocaust and political extremism from a gender perspective. Professor Pető is the fifth scholar to be awarded the 20,000 EUR Prize, at the initiative of ALLEA. choosing such an outstanding scholar”, Gabriel said. 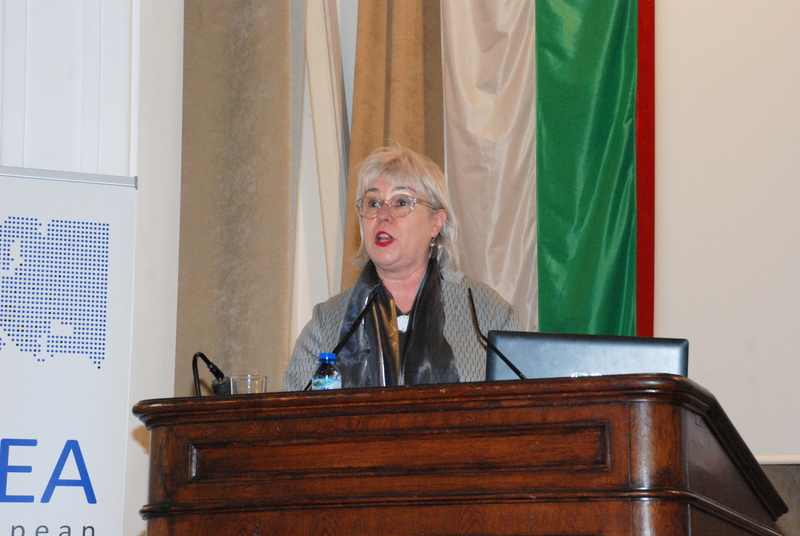 Andrea Pető (Budapest, 1964) is Professor in the Department of Gender Studies at the Central European University in Budapest (Hungary) and a Doctor of Science of the Hungarian Academy of Sciences. Author of 5 monographs, editor of 31 volumes, as well as 261 articles and chapters in books published in seventeen languages. In 2005, she was awarded the Officer’s Cross Order of Merit of the Republic of Hungary by the President of the Hungarian Republic and the Bolyai Prize by the Hungarian Academy of Sciences in 2006. 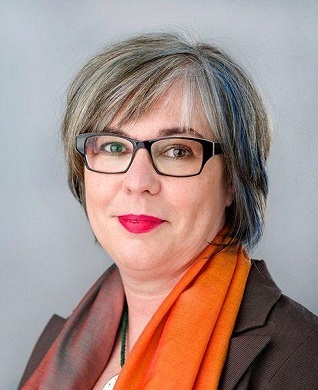 Her publications include Geschlecht, Politik und Stalinismus in Ungarn. Eine Biographie von Júlia Rajk (2007); Women in Hungarian Politics 1945-1951 (2003); Napasszonyok és Holdkisasszonyok. A mai magyar konzervatív női politizálás alaktana (2003), Interdisciplinary Handbook Gender: War (2017), Women and Holocaust: New Perspectives and Challenges (2015), coauthored with Louise Hecht and Karolina Krasuska; Gender and Far Right Politics in Europe (2016), co-authored with Michaela Köttig and Renate Bitzan; Gendered Wars, Gendered Memories. Feminist Conversations on War, Genocide and Political Violence (2016), co-authored with Ayşe Gül Altınay, and Political Justice in Budapest after World War II, co-authored with Ildikó Barna (2015), among others.